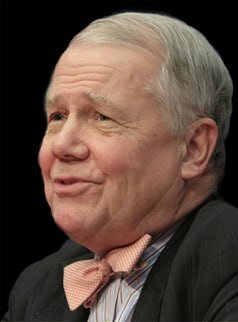 Marc Faber: "Both candidates are clueless and completely artificial..."
Jim Rogers: "It's worse than clueless, because they think they know what they're doing.. and so they are dangerous! If they were just clueless and looked out the window, we wouldn't have a problem, but they think they have the solution - but their solutions are what's making the situation worse..."
Marc Faber: "That is precisely the point. It is very dangerous to have ignorant people believing that they know something!